Circling back to Limpkins. I was excited to see these subdued brown and white streaked waterbirds because Florida is its northernmost breeding range. 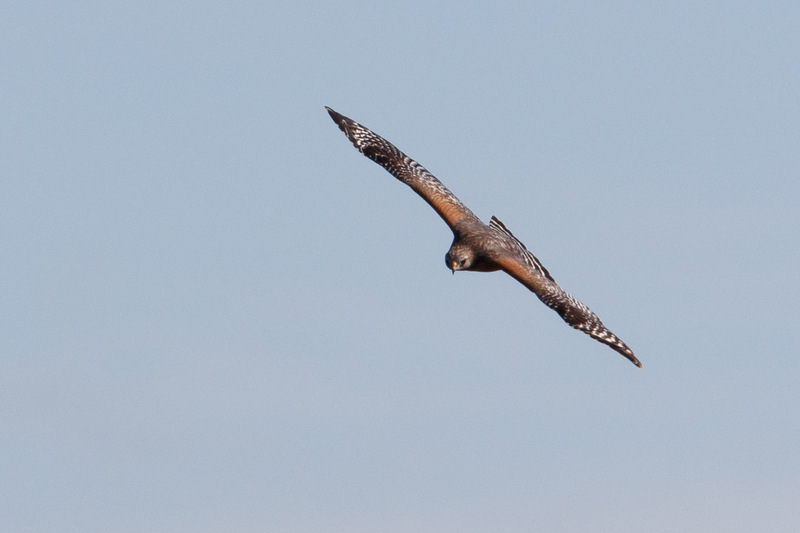 It’s highly uncommon to find them north of southern Georgia and I certainly can’t see them in Oregon. 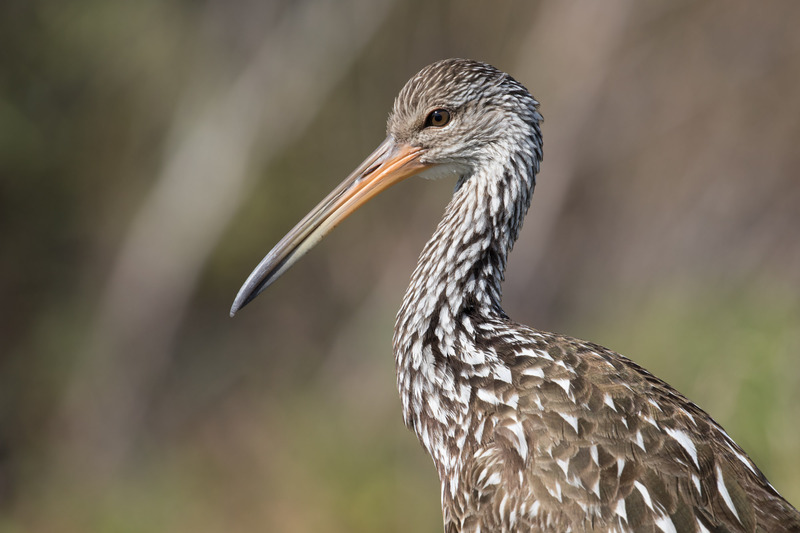 Structurally related to cranes and named for a perceived limp when they walk, Limpkins are the only surviving species in the genus Aramus and the family Aramidae. They were hunted almost to extinction in the 20th century. 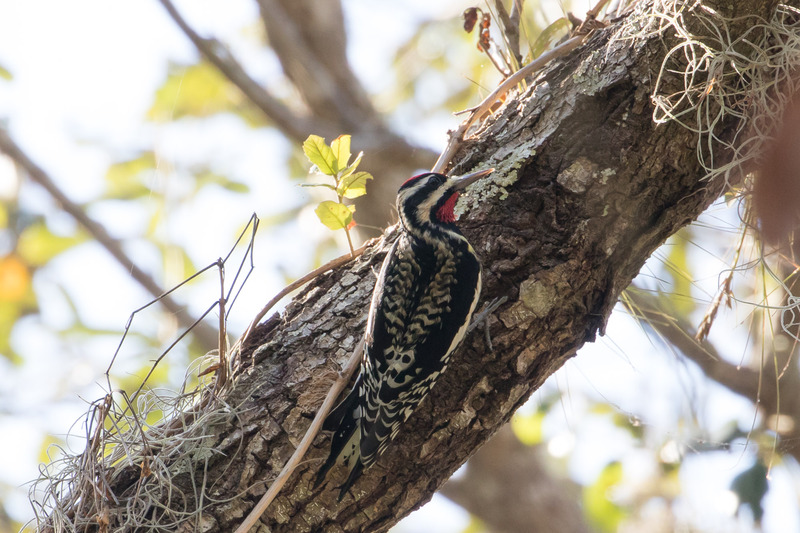 They are no longer listed in Florida (as of January 11, 2017), but are part of the Imperiled Species Management Plan. 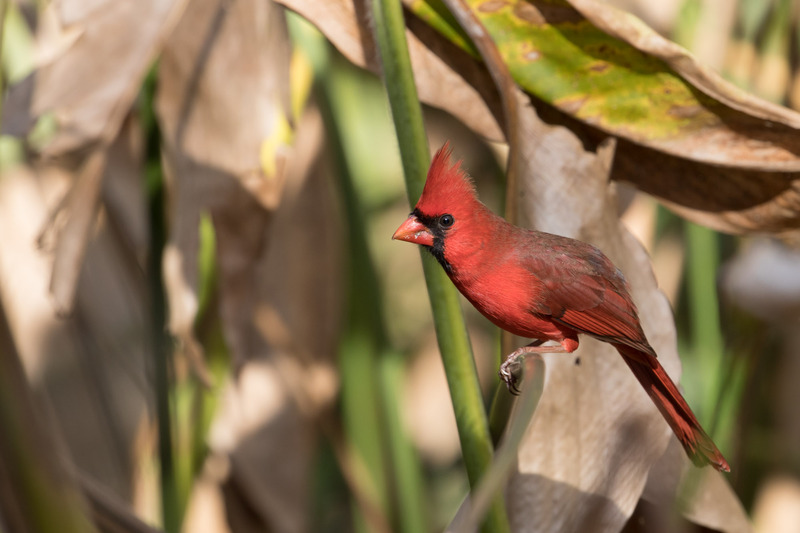 Populations have improved since protections were enabled, but of course they’re still threatened by what ails most birds today: habitat loss. They have an unmistakable wailing call that’s even been used in films (jungle sound effects in the Tarzan films, and for the hippogriff in the film Harry Potter and the Prisoner of Azkabanz). Hearing their call was almost as good as seeing them. Here’s a recording I took that includes the sound of baby Limpkins begging at the end. 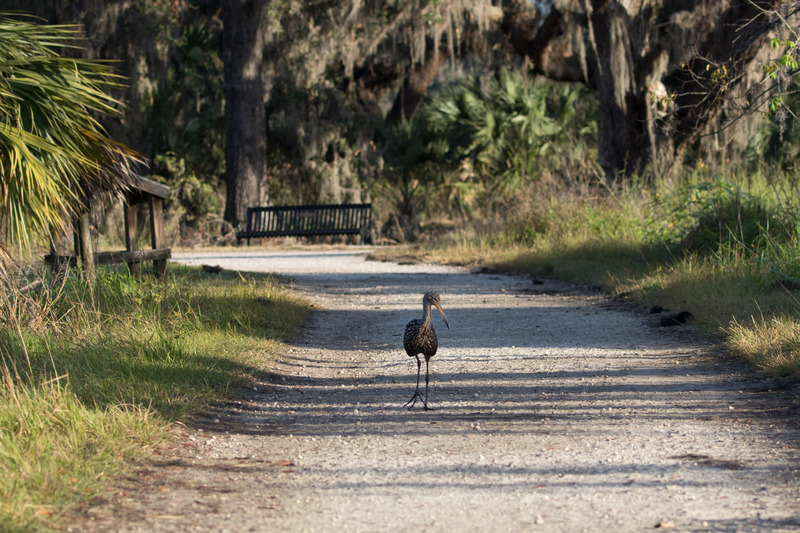 One goal of the trip was to see a Limpkin, and I’d say that was a smashing success. 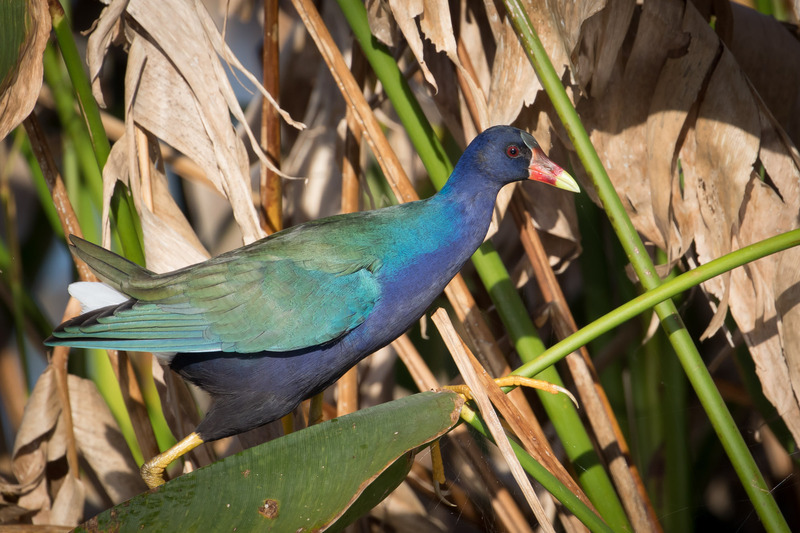 We had other successes too, including Purple Gallinule. So pretty! And much more secretive than the Common Gallinule. 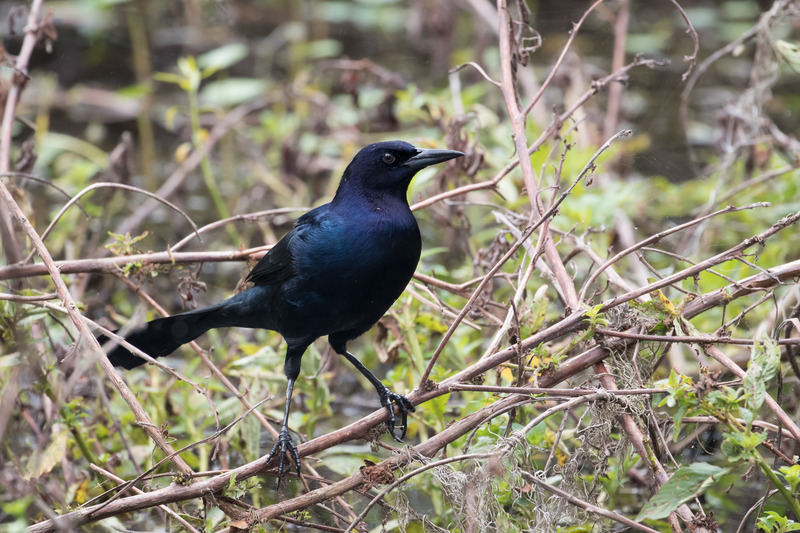 Another glistening bird was the Boat-tailed Grackle. 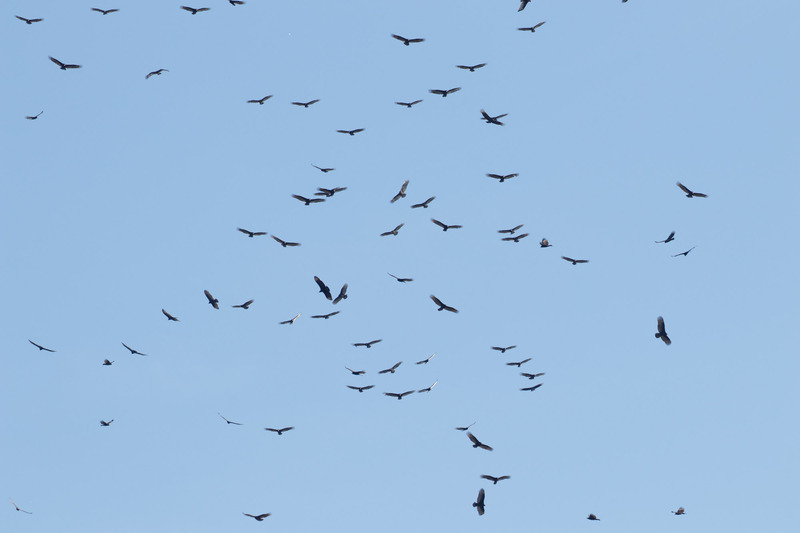 Above our heads were kettles of both Black and Turkey Vultures. 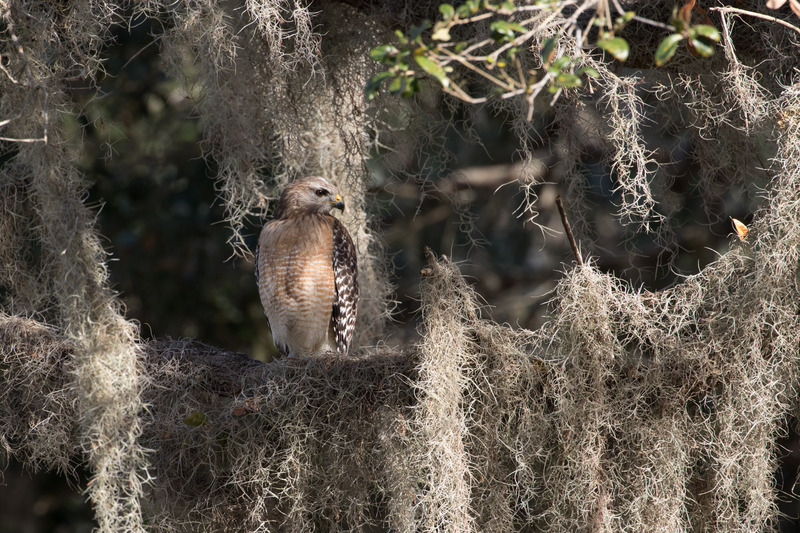 Occasionally we’d spot a Red-Shouldered Hawk. 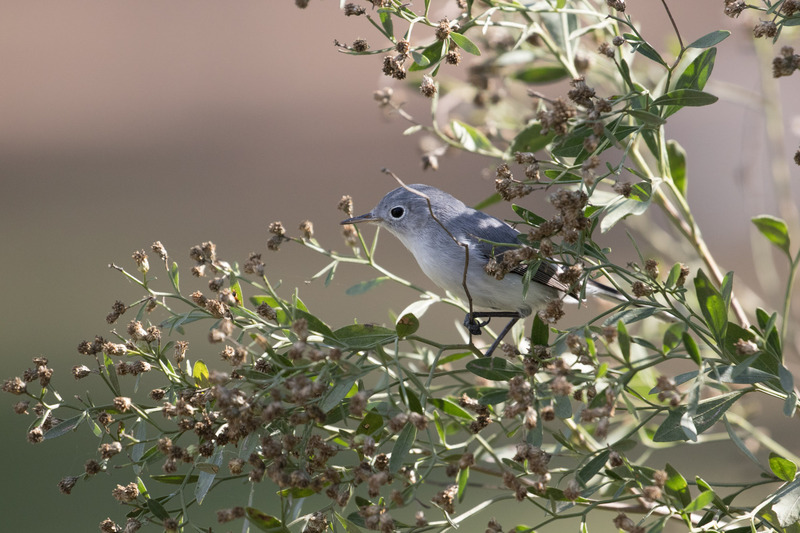 You know those moments when you’re trying to get a good look at a bird, particularly a warbler in the trees, and you get the feeling it might be something new and different? 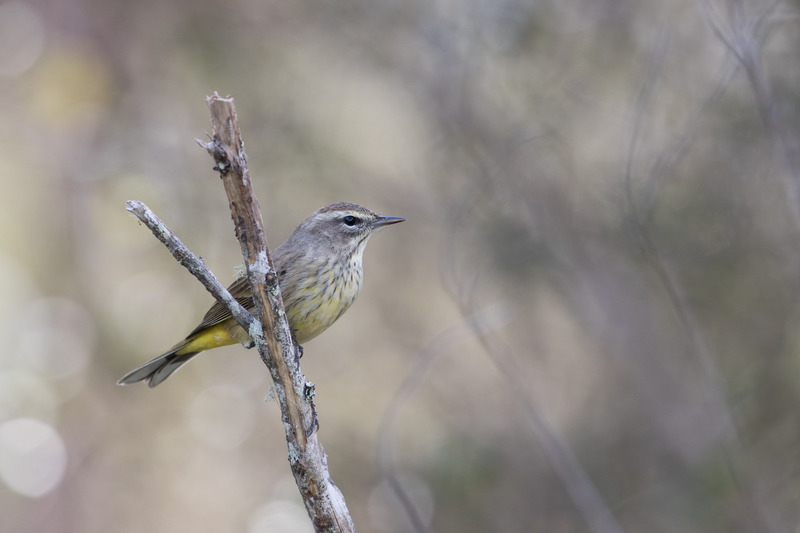 Usually it turns out to be a Palm Warbler. But every once in a while, it turns out to be a Northern Parula! 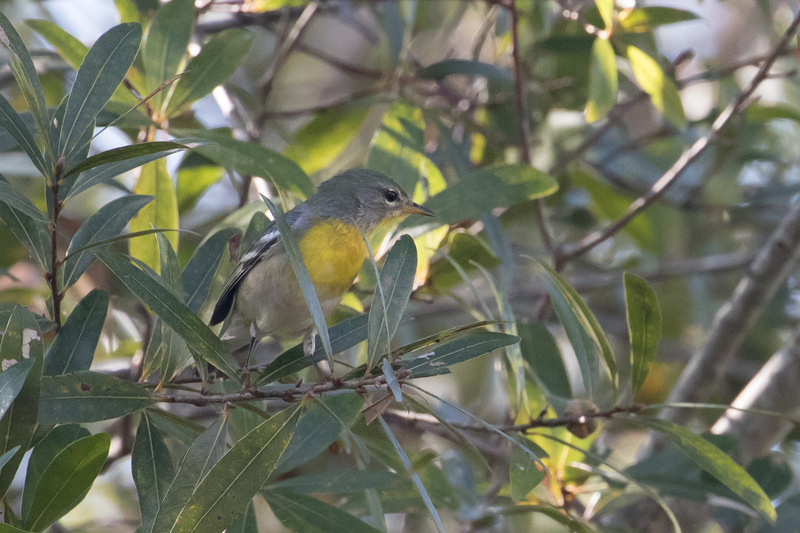 The gray hood, white eye crescents, wing bars, and that bright yellow chest means this is a female Northern Parula. 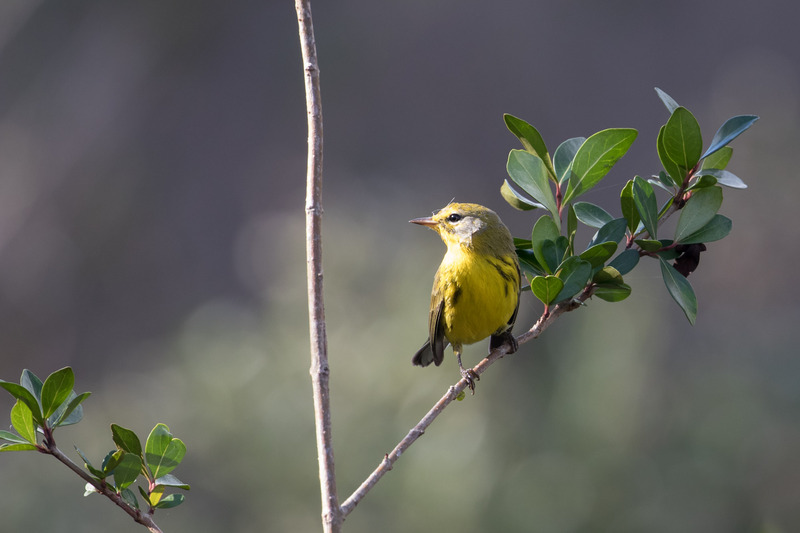 So exciting to find a new warbler. Some day I’d like to meet her handsome male counterpart. 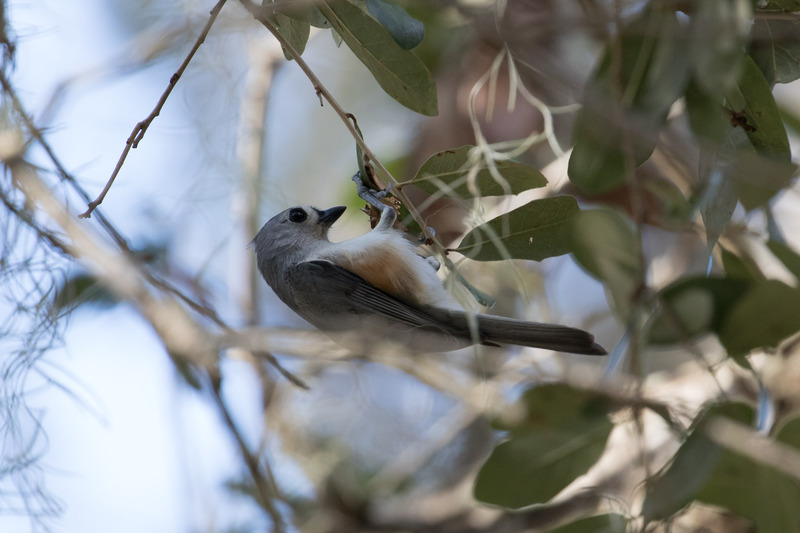 Not far from the parula something orange caught my eye. Had to be something good, I knew it. Indeed! 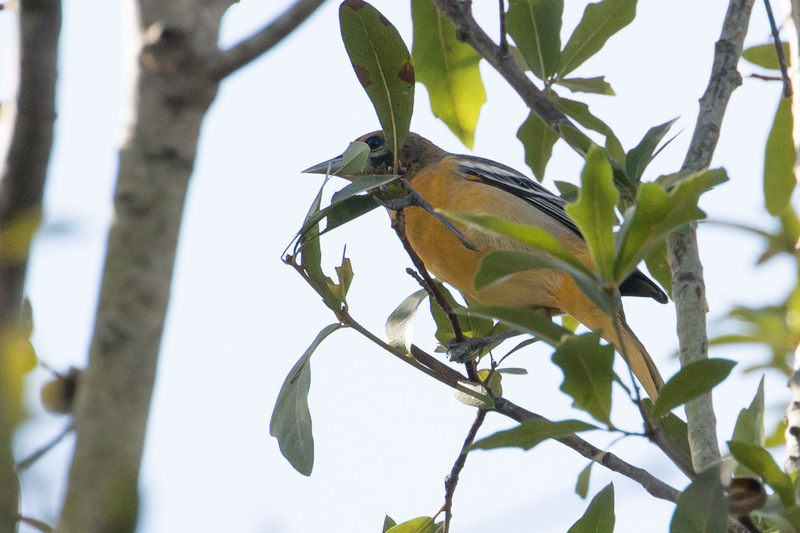 Behind that leaf is a Baltimore Oriole! Another life-bird courtesy of Circle B. 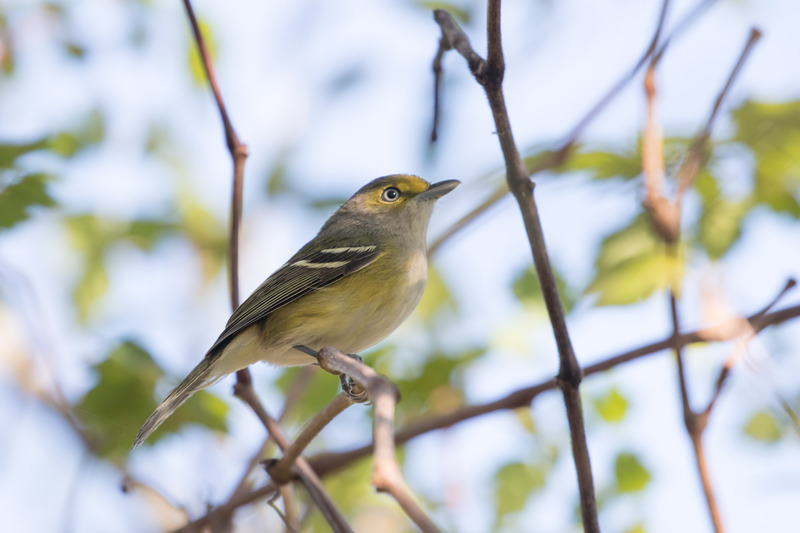 Another goodie we came across was a White-eyed Vireo. 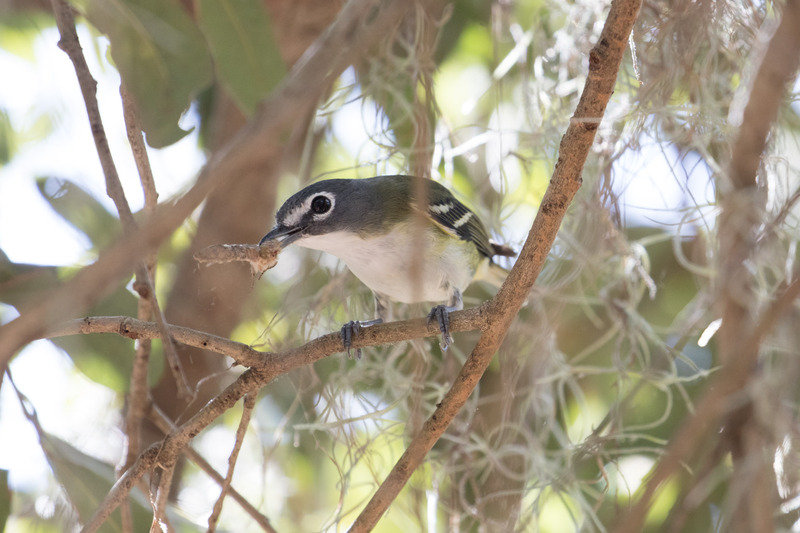 Followed by my lifer Blue-headed Vireo eating a moth snack. We saw a lot of birds at Circle B and every time we were done for the day we had a difficult time leaving the park. Just one more bird! One day it was impossible to leave because my dad’s car battery died. No, I didn’t sabotage it 😉 but this did mean we could bird for another hour! This turned out to be a pretty magical hour. First I saw something intriguing sneaking around low in the bushes. 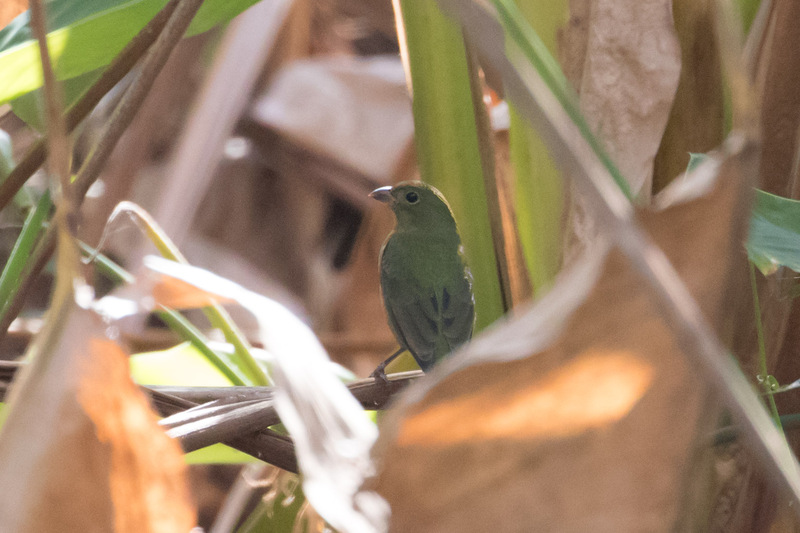 It wasn’t until later that I recognized how awesome this sighting was – my first Painted Bunting! I got such a quick look at the time that I didn’t notice the green sheen on this female bird. I thought it looked like an exotic escapee finch, but it’s actually a lovely wild finch. 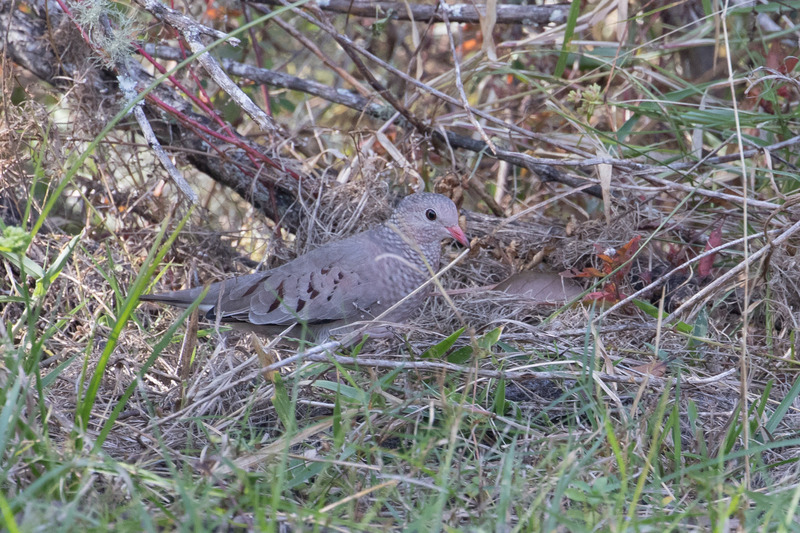 Around another corner I noticed a small dove that looked different from the Mourning Doves. 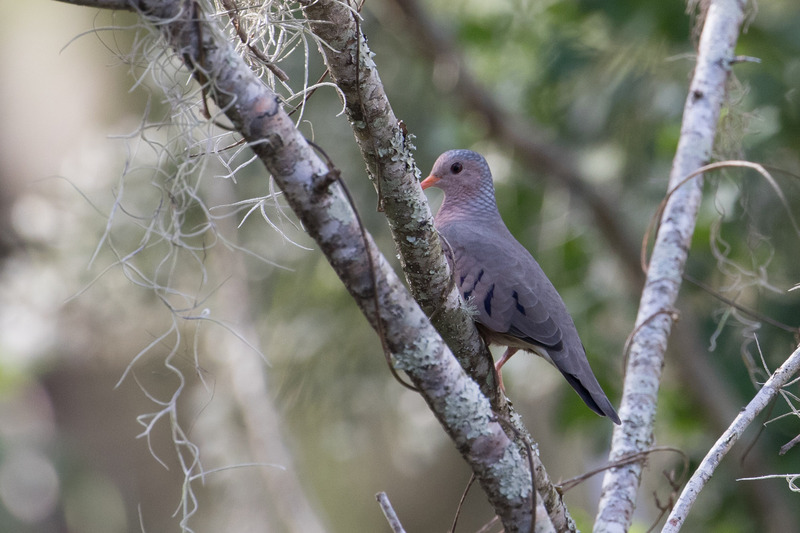 It has a scaly neck, and a pinkish bill with a dark tip, making it a Common Ground Dove. New dove! Then below the tree I saw a small weird statue. 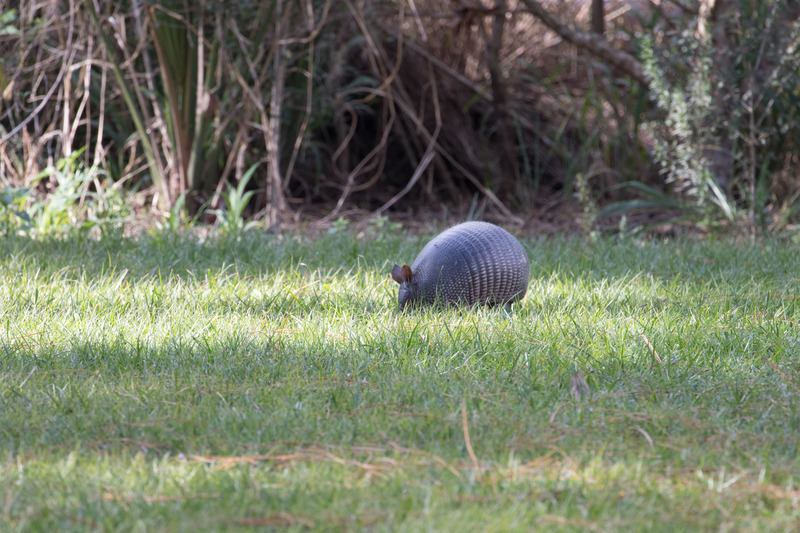 The statue moved and morphed into an armadillo! 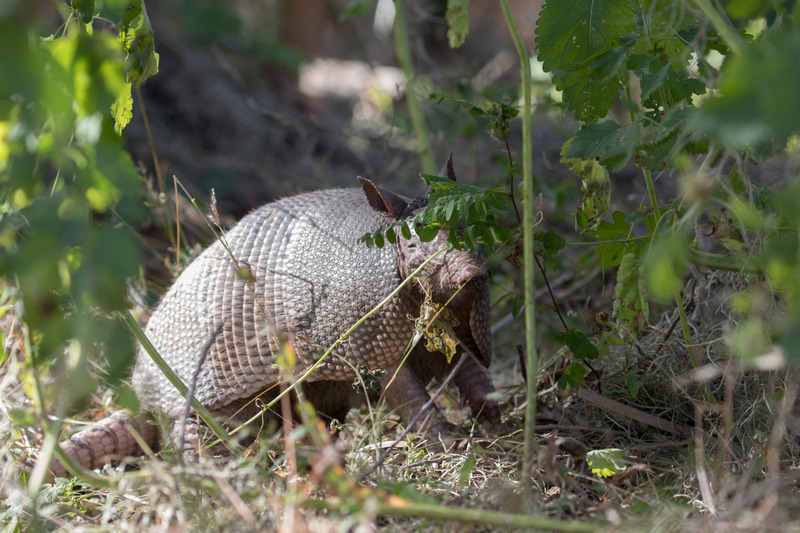 Native to southwestern North America, the Nine-banded Armadillo was introduced and expanded its territory to Florida. They’re creepy cute. It’s a good thing Florida has signs on how to hand this situation. 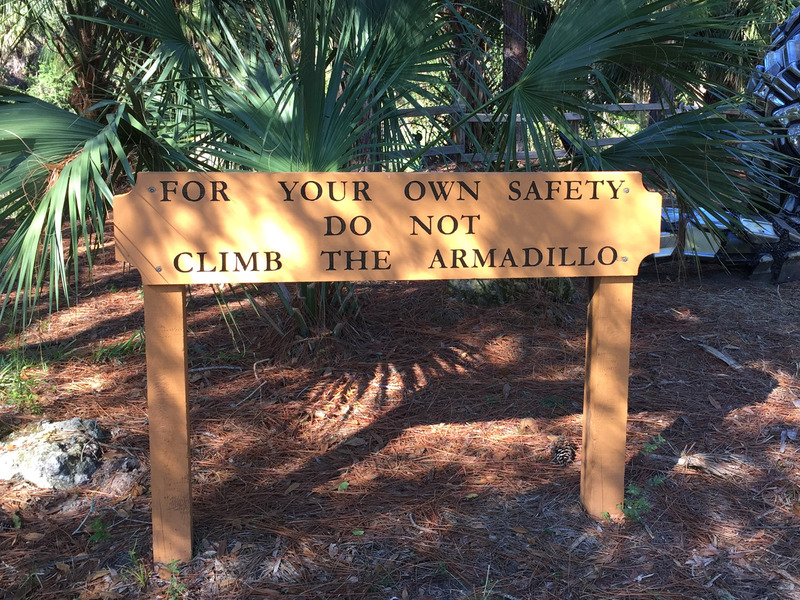 I did not climb the armadillo. 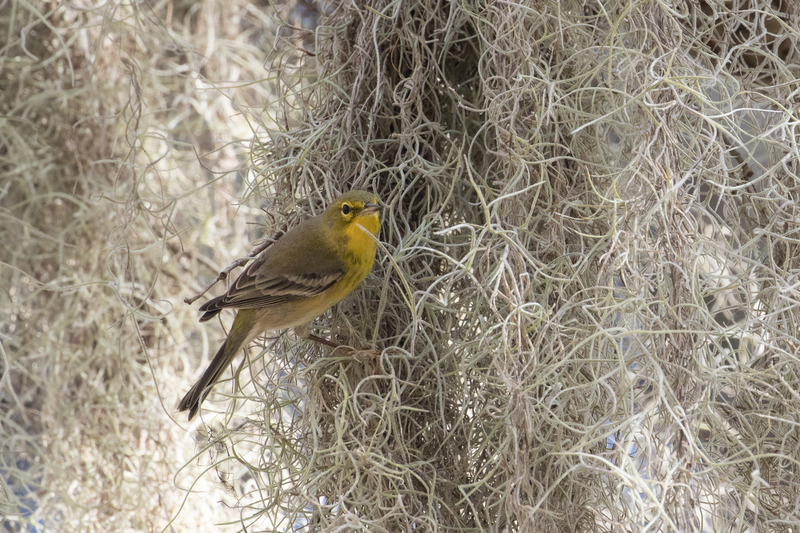 Pine Warbler; different from Palm Warblers with white wing-bars and a non-wagging tail. 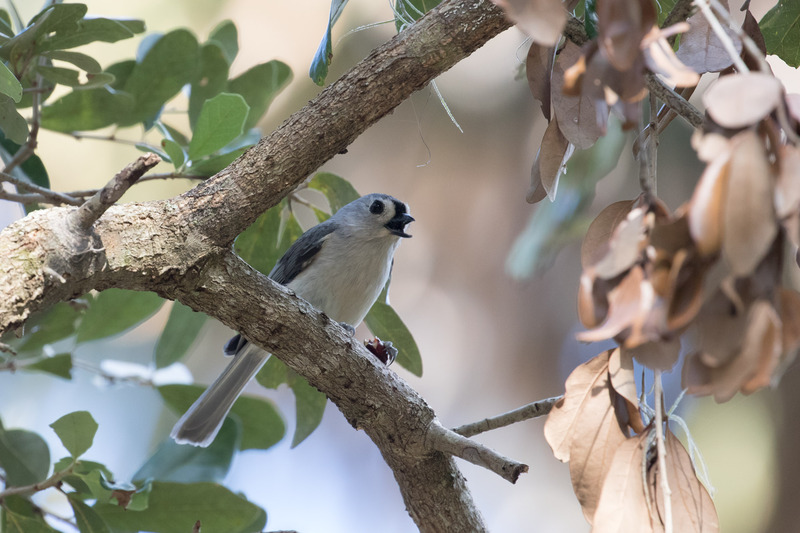 And a doe-eyed Tufted Titmouse! Overall, we saw 63 species at Circle B, 8 of which were life-birds for me, including the Fish Crow that looks identical to American Crows, but says “uh-uh” instead of “caw-caw.” Audio here. The battery was fixed and it was time for us to leave Circle B Bar Reserve. This entry was posted in Birding Trips and tagged Baltimore Oriolo, Black Vulture, Blue-gray Gnatcatcher, Blue-headed Vireo, Boat-tailed Grackle, Common Ground Dove, Fish Crow, Limpkin, Northern Cardinal, Northern Parula, Painted Bunting, Palm Warbler, Pine Warbler, Prairie Warbler, Purple Gallinule, Red-shouldered Hawk, Tufted Titmouse, Turkey Vulture, White-eyed Vireo, Yellow-bellied Sapsucker by audge29. Bookmark the permalink. Gosh darn motherforking shirtballs. I really need to visit Florida. 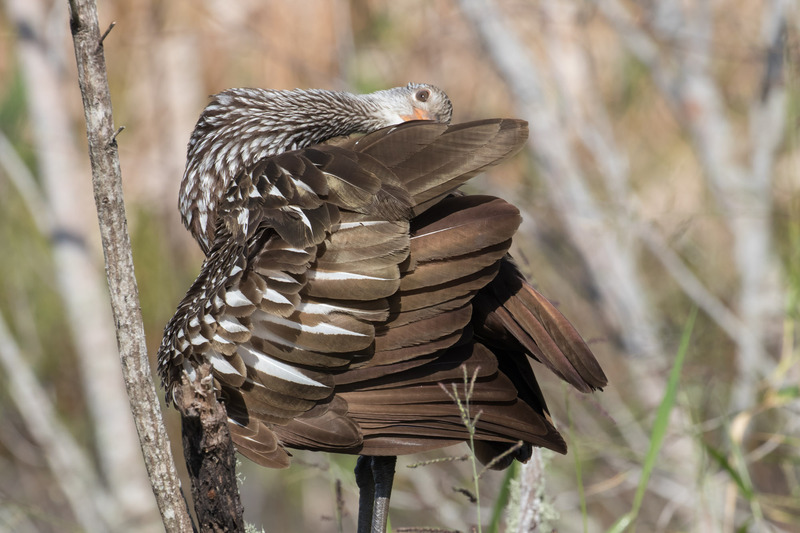 Oh, and super cool about the limpkin’s Hollywood role!